I don’t know about you guys, but for me, sometimes it's really easier to keep up with everything that you have to do every day when you have a routine to follow. 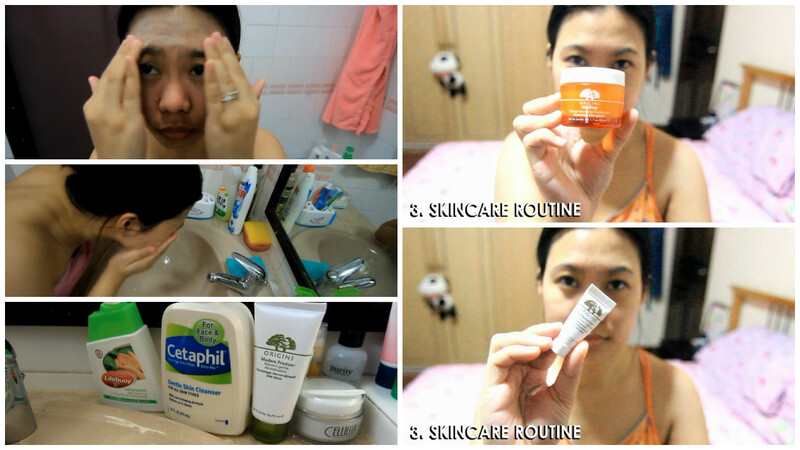 Today I’m sharing with you my night routine. 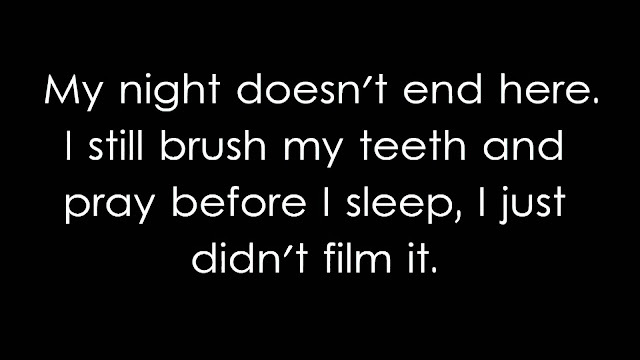 This may not be the same every single night but for the most part of the week, especially when my husband has to go to work, this is usually what my routine is. 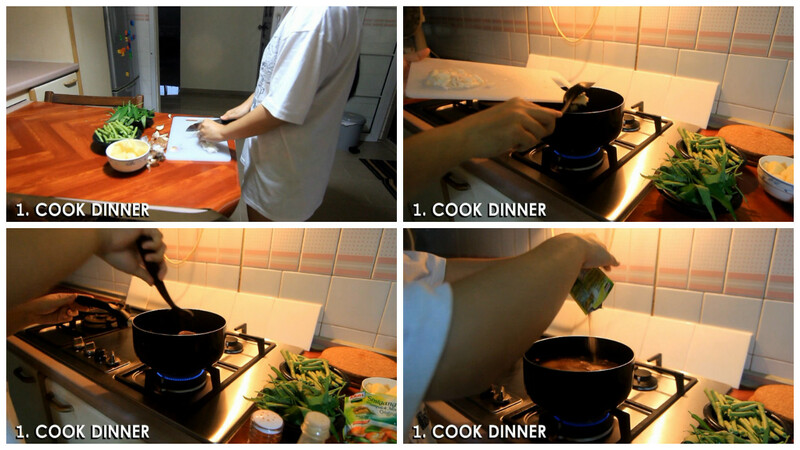 What I cook varies but mostly Filipino dishes. When I’m too tired to cook or we run out of ingredients, we just go to McDonald’s for dinner because it’s just walking distance from our house. Once I’m done with whatever I’m cooking, I go ahead and take a bath. 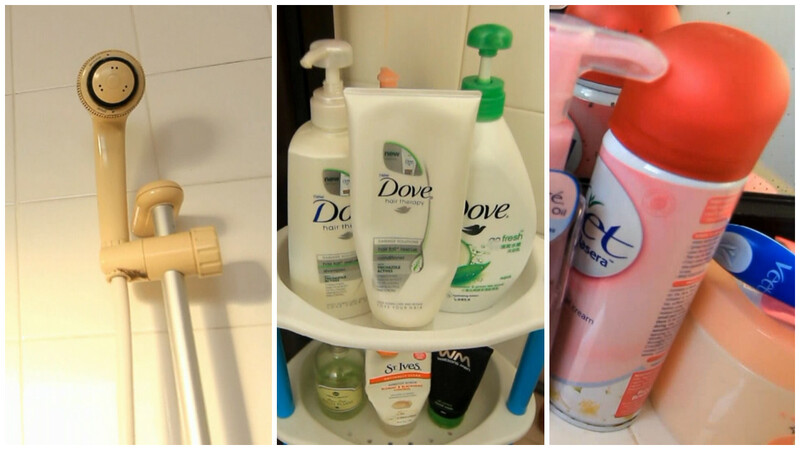 I take showers at night but when I have appointments or my hubby and I have a date, I shower in the morning and at night. As for my hair, I wash it every other day. On days, I’m not washing my hair, I use a dry shampoo. The one I’m using is from TRESemeé. Check out my hair routine here. My skincare routine varies and I didn't make it very detailed in this video as I probably would be doing a separate one for it. 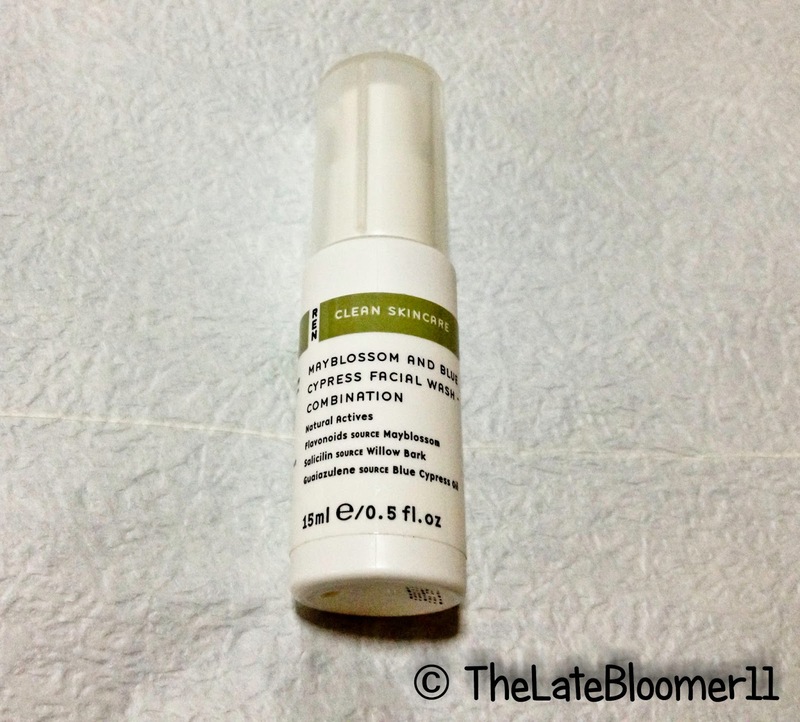 In this video I used Origins Modern Friction Nature’s gentle dermabrasion. I super love this stuff. I’d be writing a review on it very soon. After cleansing my face with it, I just follow it up with my moisturizer and eye cream both from Origins as well. While I wait for my hubby to arrive from work, I hang out with my lappy again to do some more work. I could write a new article, edit a new video, watch some videos on YouTube or all of them. 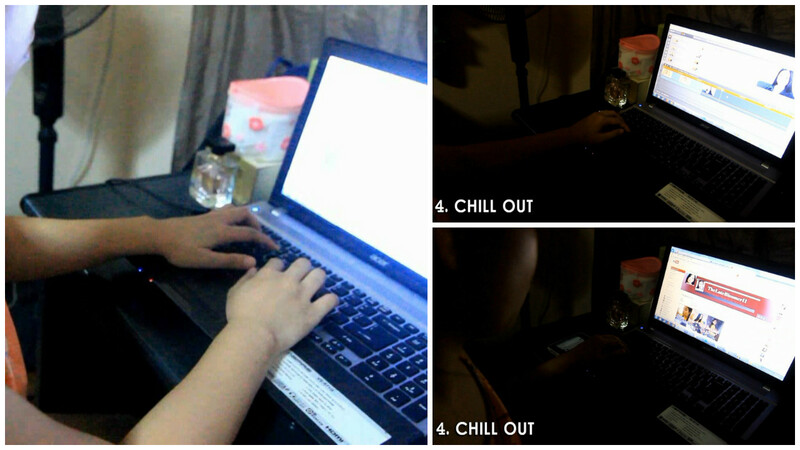 It’s fun to multi-task. My hubby normally would text me the moment he steps out of the office and that serves as my cue to set the table for dinner. 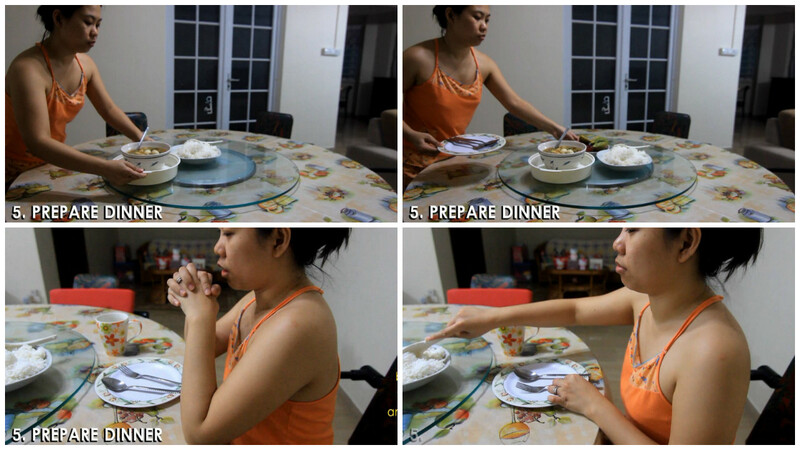 We normally eat inside our room while watching TV, but when our housemates are not at home (yes we have housemates) we use the dining table. This is the best part. Here, my hubby and I will just talk about anything under the sun. 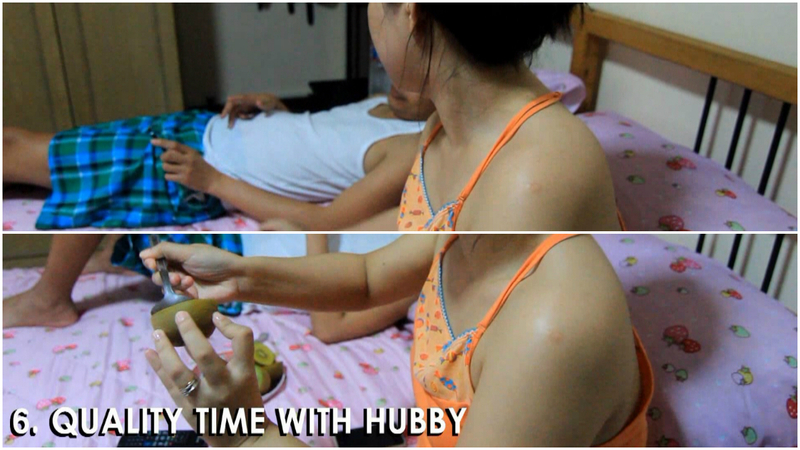 We talk about his day at work, my day, our plans for the coming weekend or where we want to spend the next holiday. We sometimes play card games, watch a movie or share what we discover on our phones. He also could just play games on his phone while I read blogs on mine. It’s really wonderful when your husband is also your bestfriend. How about you? What’s the last thing you do before you sleep at night? I’d love to know! In the beginning of this month, WishTrend contacted me through email and invited me to try a product and answer a questionnaire. They didn’t ask me to write a review about the product. They just wanted to get some feedbacks about it, which I think is really cool. It only shows how serious they are in improving the quality of their products and I’m delighted to have been a part of it. So today’s review as you’ve seen on the title above is about this BB cushion from IOPE. 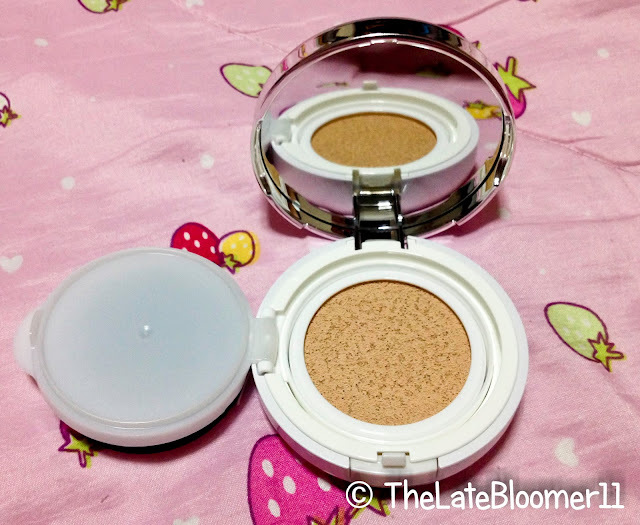 It is a moist cushion foundation that blocks UV rays and leaves skin radiant. It contains more than 30% of Mineral Water XP for moist and radiant skin, concentrated mineral water which contains rich mineral that controls oil and moist balance of skin. It nourishes skin and makes skin look healthy and bright. JUDGMENT: I’ve been using this for half a month now and I really like it. It may not be on top of the game when it comes to coverage – I only say that because my face needs heavy duty coverage, LOL - but it has a lot of good stuff to offer that makes me love it so dearly. Let me just put it out there that I really love this product. Yes, I’m someone who always prefers coverage over anything else when it comes to foundation and BB creams but the thing is this product is more than just that. It is a sunblock foundation! How can you go wrong with it? It has SPF 50+/PA+++ which is even way better than my normal go-to sunscreen which only has SPF 30 in it. 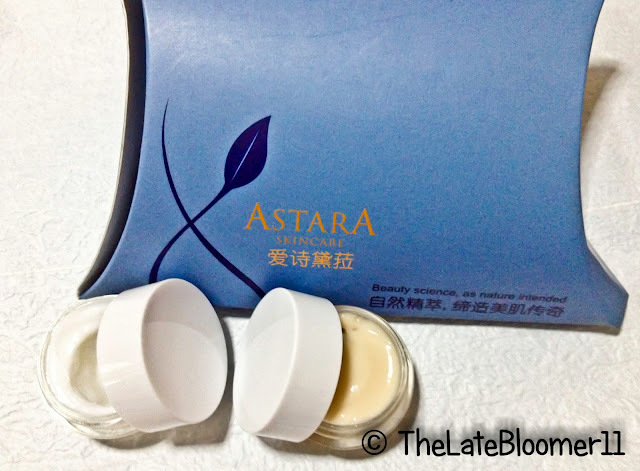 Not only that, it has other skincare benefits like Mineral Water XP that helps improve the moisture in the skin, Siberia Peptide 6 & Pore Elastomer that aids to convalesce the skin elasticity and take care of the pores, and Vitamin B5, E and P that works in maintaining a healthy glow on our skin. And except when the weather is really hot and humid, I don’t think a separate setting powder is necessary. Yay! 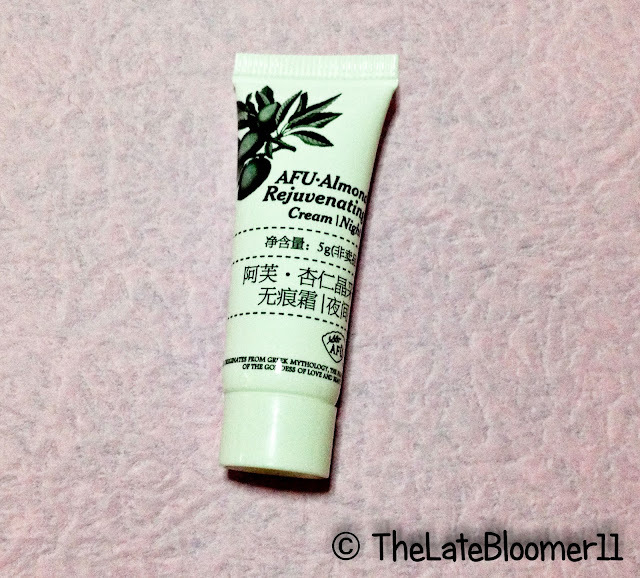 It has a semi-matte finish and it is moisturizing. And lastly, it doesn’t cake up no matter how much you layer it up. I simply love it! At first application, I thought it looked so white on my skin but after I have let it sit for a little bit, it blended well into my skin and even complemented my yellow undertone. 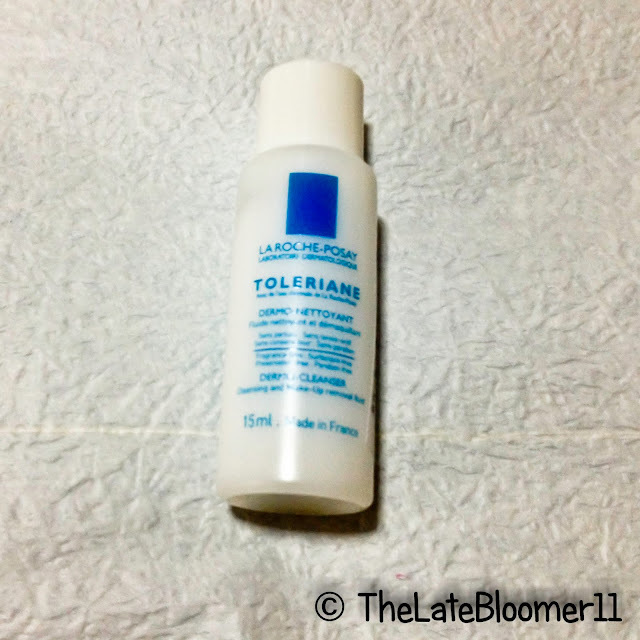 I also noticed that it effortlessly brightened up my skin which I really liked because then I wouldn’t need to spend so much for brighteners. On Day 1, I went with 2 layers and it gave me medium coverage. It concealed my redness and lightened up my dark under-eye circles. 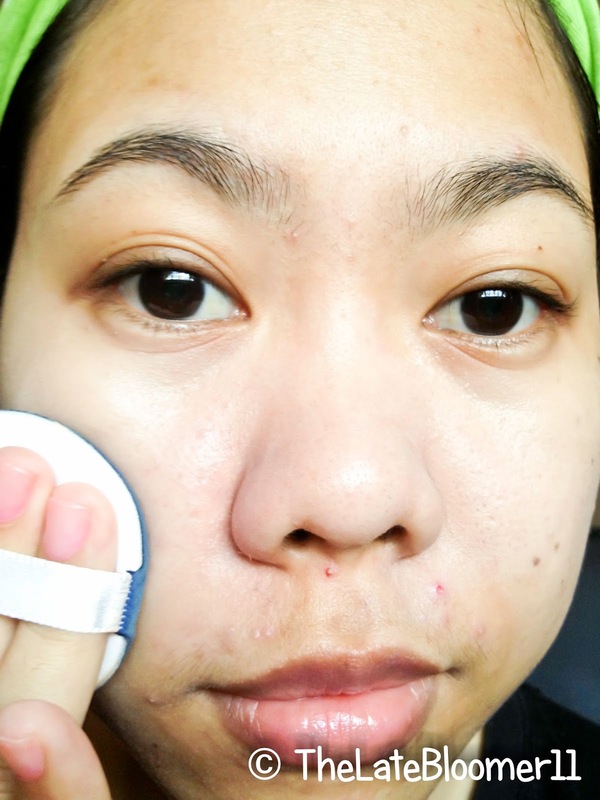 It lightened the redness of my pimples (I had active breakouts when I tested this) but did not conceal the spots completely. Probably if I went with one more layer it could have done that. 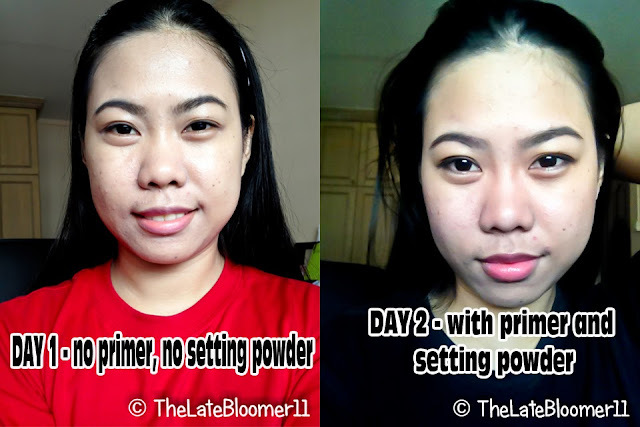 On Days 2 and 3 I used a primer before applying this foundation and set it with a setting spray (MAC FIX+) and powder. 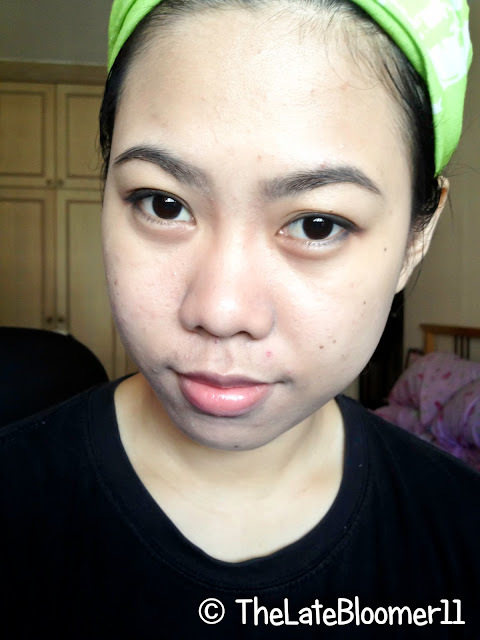 I can say that the coverage improved when I used a primer beneath it although it still was unable to conceal my active breakout right under my nose and above my lips. It’s not an issue for me though because that’s what concealers are for. It's definitely not sticky and right off the bat, it feels very moisturizing. Right after application, I can feel that it’s truly doing its job in hydrating my face. It is very light-weight; it’s as if I’m wearing my second skin. 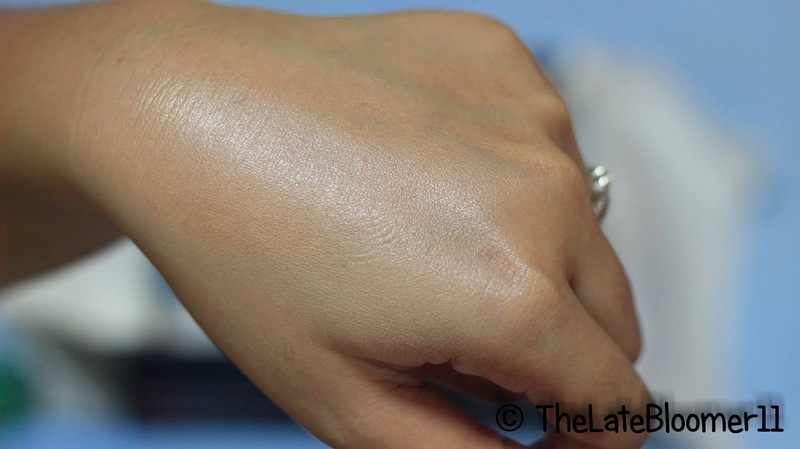 After it has sit into my skin for a little while, I noticed that it dried down with an almost powdery texture yet it didn’t feel dry on my skin but rather smooth and with a healthy glow. On Day 1, I used it without setting it with powder or spray to really test its longevity, texture and coverage all throughout the day. As for the finish it gave me, it’s more of a satin/semi-matte and I’m totally impressed. How can a face-product as moisturizing as this leaves me a semi-matte finish? It’s amazing, I should say. On Days 2 and 3, the texture is even better especially when it’s applied on top of a face primer and set with a setting spray and powder. I didn’t feel on any part of the day that my skin was dry nor was it oily. I actually really like it. On Day 1, I didn’t use any primer or a spray/powder to set it on my skin but it lasted for 5 hours without me getting oily, thus no retouching necessary. On Days 2 and 3, I used a primer beneath it and set it with spray and powder. It lasted for the whole day (8hours). I didn’t blot nor touch up in between. I didn’t even get shiny. It’s really impressive. I'm not sure if this product claims to be fragrance-free as it is clearly not in my opinion. I catch a perfume-ish scent every time I’m applying it but it doesn’t bother me because it’s not that strong. 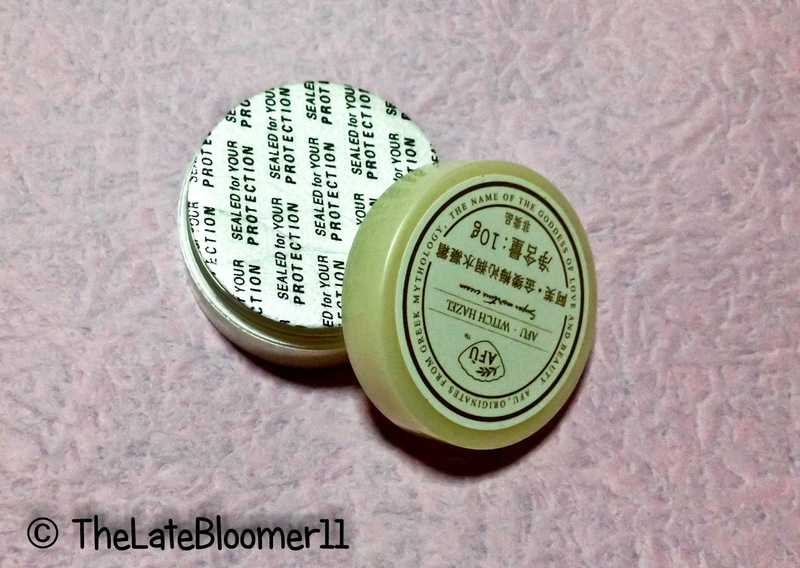 I always have issues with cosmetics that have fragrance but this particular product is one of my very few exceptions. YES, especially if you don’t have enough time on your hands to make a full face makeup because with this kind of foundation your time for putting on makeup will be decreased considerably. And c'mon! 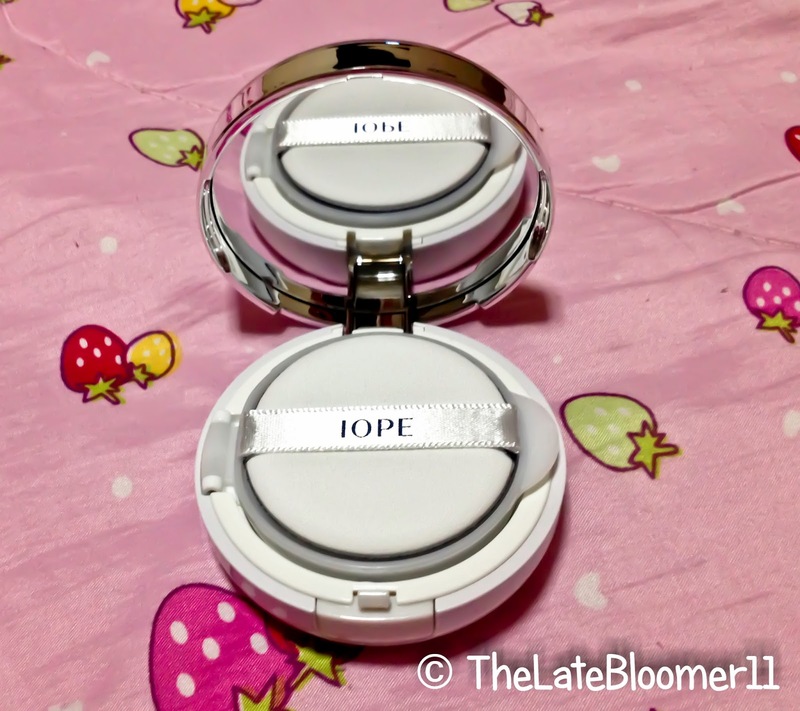 The skincare benefits this BB cushion has is worth sharing and raving about! I absolutely would if I don’t currently own a lot of foundation and BB creams right now. I’m glad I was sent this product. I enjoyed testing it and finding new good things about it every time I use it. Whenever I have it on my face, it feels like I have a naturally flawless and healthy glowing skin that doesn’t even need retouching which makes me all the more proud that I get to have the experience of trying it. And every time I look at its packaging, my lips just instinctively curve into a smile because its stylish design is just really nice to look at. 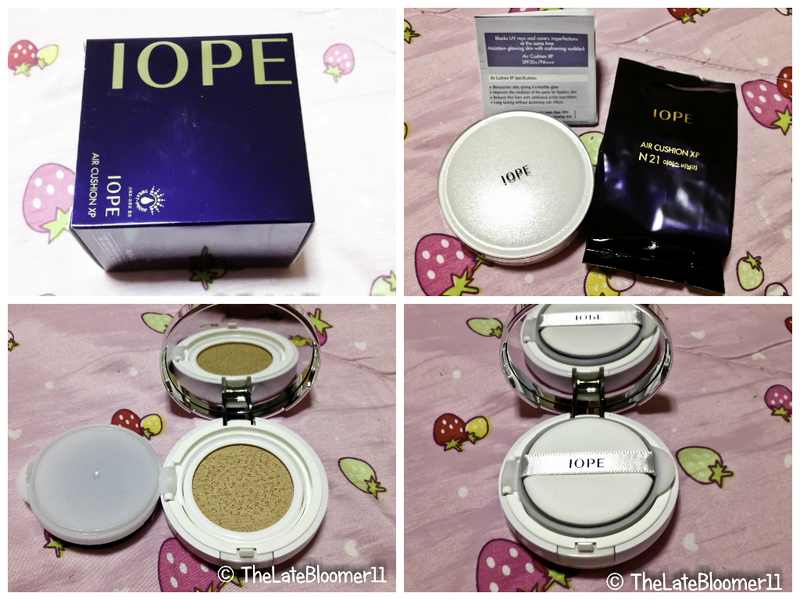 Overall, it’s a great product and I hope it will be available here in Singapore beauty bars/counters really soon. Disclaimer: I was sent this product for free to participate in a survey and not to write a review about it. I wrote this review because I truly love the product and feel that other people should know about it too. 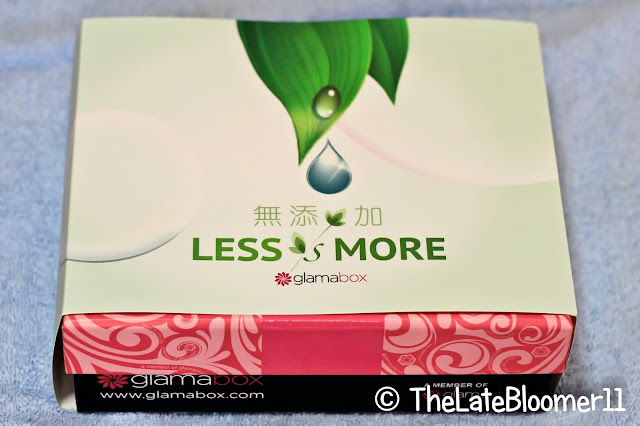 As mentioned in my previous post, Glamabox sent me a package last week containing two of their boxes, the AUGUST 2013 Box and the “Less Is More” Box, one of their Special Boxes. It was in the second week of this month when I was informed by email that they’ll be sending me these two boxes and I finally got the goodies last week. Had I not been too busy at that time, I could have posted my reviews of these two boxes sooner but I’m here now, so let’s waste no time and jump right into the amazing contents of this delightful surprise box. 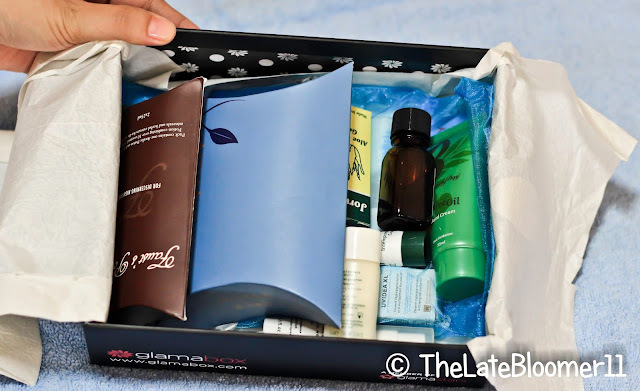 They really spent a considerable amount of time, effort and passion into making this beauty box as it’s very evident from the packaging to its contents. 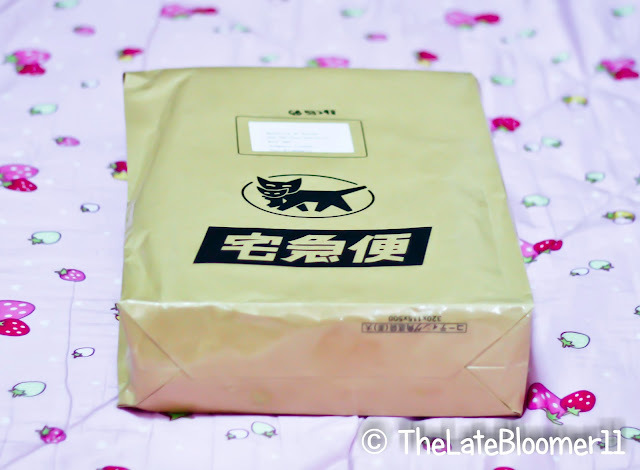 I’m in love with just the packaging alone, what more if I see what’s inside. 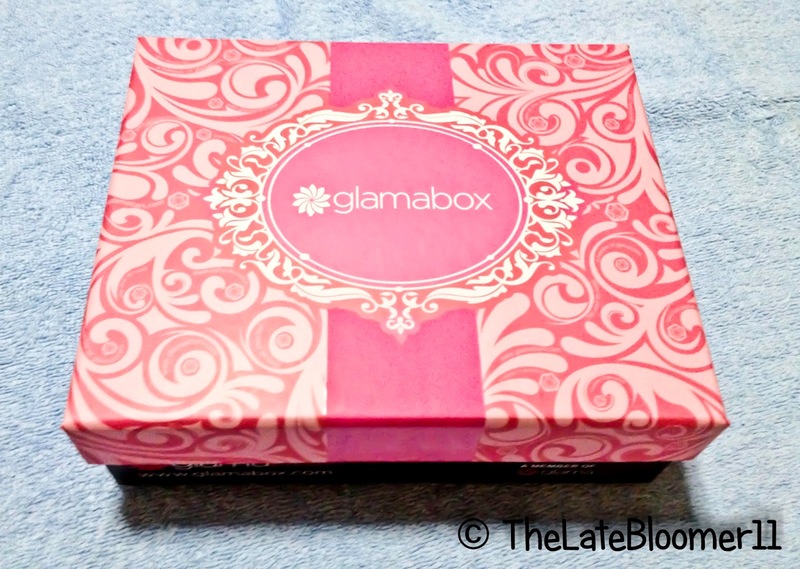 This is my first time to open a beauty box totally packed with so many samples. In fact, when I was done taking photos of each item and put them all back inside the box, I had a hard time replacing the lid as it was really jam-packed. 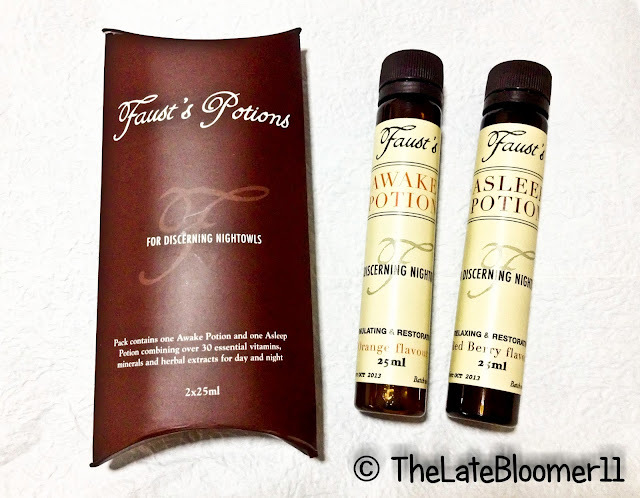 My Thoughts: When I first took it out of the box, I thought these are serums because I failed to read the word ‘Potions’. Yesterday, I was watching Harry Potter on HBO and thought of, “wouldn’t it be nice if there’s a potion for just about anything?” And now that I’m writing what I think about these samples; well, I think this is supah nice because just recently I’ve started working out, you know, to be healthier but then I still stay up late at night which makes me a bit groggy the next day when I wake up despite all the exercise I’ve been doing. With that said, I can’t wait to try this energy booster drink and see for myself if it really works. 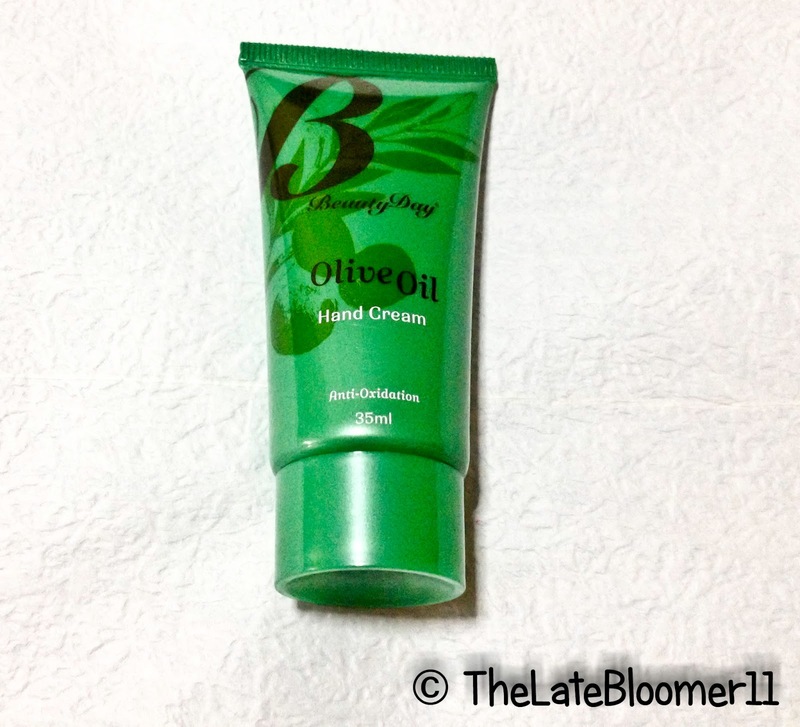 Olive Oil Hand Cream Made from mild natural olive oil, it suits for all skin type, including baby. It moisturizes your hand immediately and keeps your hands silky smooth. My Thoughts: Hand cream is one of my guilty pleasures and my standards are very simple: it has to be moisturizing and non-greasy but most importantly, it has to smell really good. I want my hands to feel soft and smell nice and girly, which is why I was taken aback a little when I saw this green tube with the words “Olive Oil” hand cream written on it. I was like, “when did olive oil smell good?”. I’m aware of the many uses and health benefits of olive oil but I haven’t heard anything about it smelling nice and girly. But lo and behold! I tried it and I can’t stop using it since. It smells like a newly bathe baby – my gosh!!! I so love it. A balancing, antibacterial facial cleansing gel with mayblossom and blue cypress essential oil that is prone to oiliness. 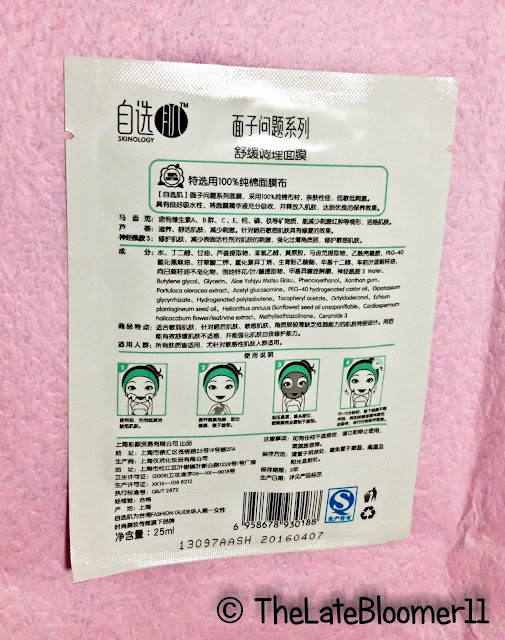 It can purify problem skin and sooth minor irritations. My Thoughts: You know what? It’s like the whole world now knows about my current skin condition. 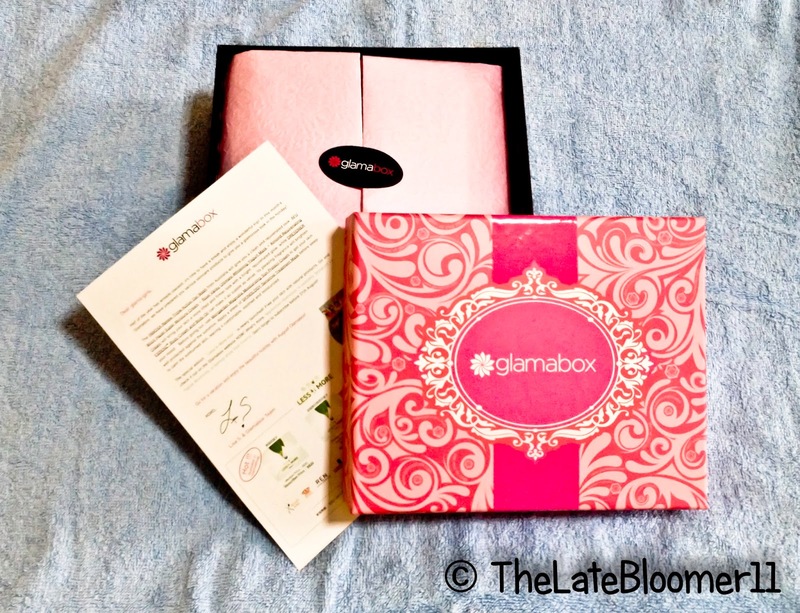 I mean who told Glamabox that I’m on the hunt for the right skincare product that can help me with my very troubled skin right now?!? Anyway, though I haven’t tried this, I like how it comes with a pump. It’s a clear gel sort of facial wash and once I’m done testing out the INNOXA Renew TripleAction Gel, also from Glamabox, I’ll start with this one. The natural and organic ingredients are filled with active energy which will bring you great sensorial pleasure. My Thoughts: The first cleansing milk I’ve tried was from Make Up For Ever which I got when I attended their workshop in December last year. Now I’m not sure if I like how this cleansing milk and cream smell but they kinda remind me of those bathroom supplies in a hotel – not exactly my type. The only thing that really intrigues me about these two items is the fact they’re made with natural and organic ingredients which should be good for my skin. 100% naturally extracted by argan tree in Morocco, it recovers damaged hair and makes it shine with glow. My Thoughts: If you’ve read my My Hair Story and Everyday NO Heat Hair Routine, you’d know that what I’m currently using as hair treatment is the Macadamia Healing Oil Treatment which I got from Bellabox. Now I’m really excited to test this out and see what their similarities and differences are. 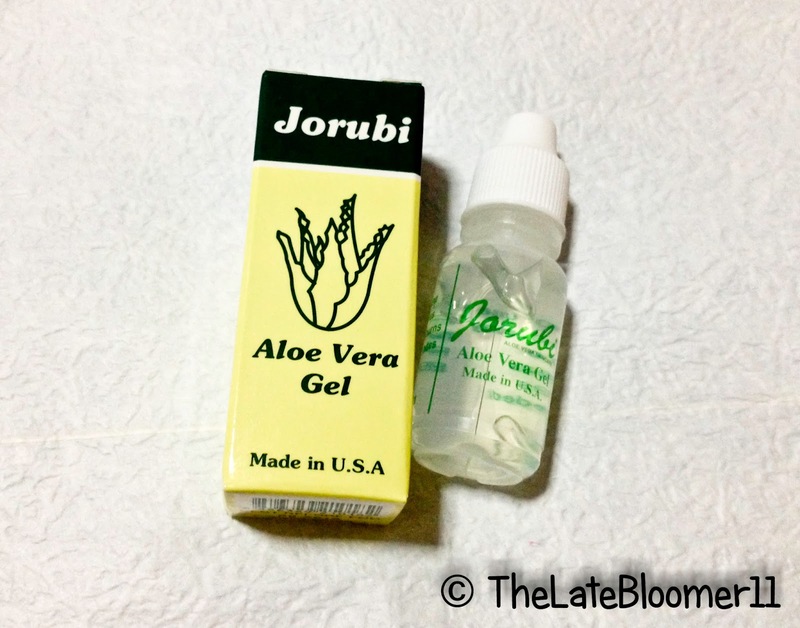 It contains more than 99% pure aloe, which is perfect for soothing and moisturizing the skin. My Thoughts: I’ve always known that aloe vera is considered a “miracle plant” for it has tons of beauty, skincare and health benefits. 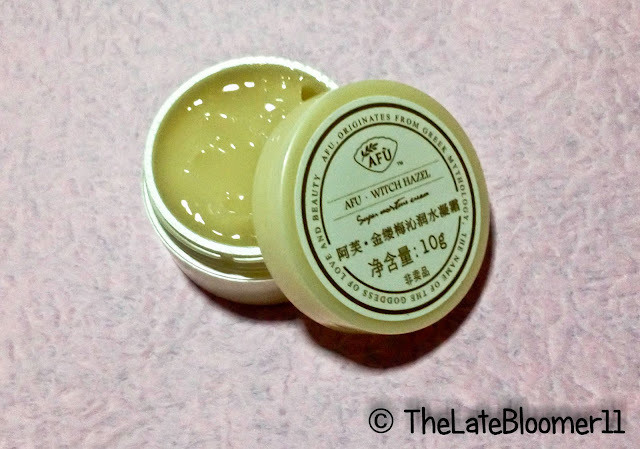 So it comes as no surprise that this product claims to sooth and moisturize the skin and I bet it’ll do more than that. This is a nice little product to keep handy at all times. Composed of micro-fibers, the mask is close to skin’s own. It can immediately lower heated sensations and continuously decrease signs of sensitivity. My Thoughts: I have nothing much to say about this for now. 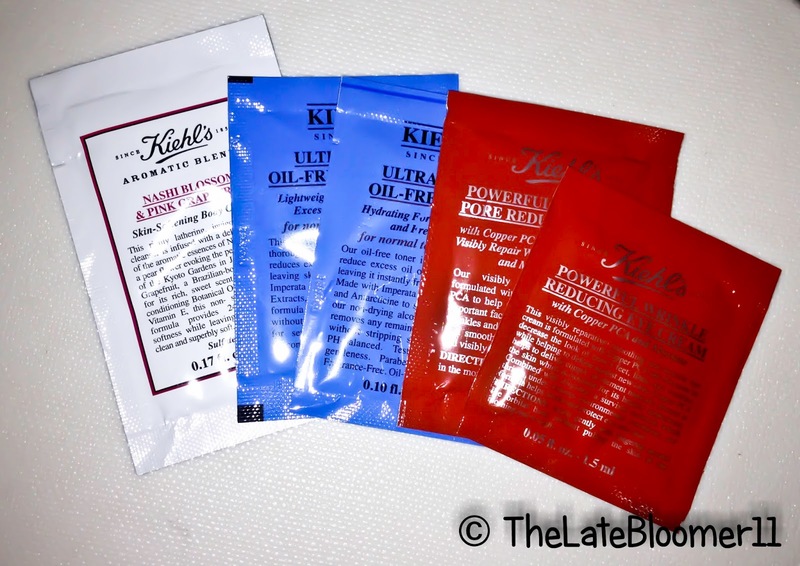 I’ve tried quite a few masks already but I haven’t written an in-depth review on any of them. On my pamper night, I’ll use this and will let y’all know what I think about it. 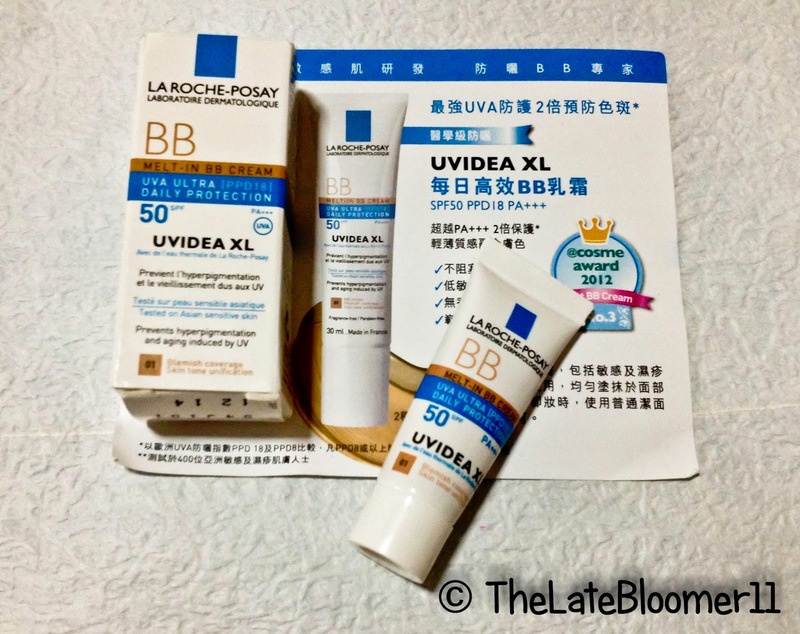 The enhanced anti-UVA filtration can give the skin well protection against UVA rays. My Thoughts: As a beauty enthusiast, I always get excited whenever I receive a makeup product and of all my cosmetic shopping, my biggest splurge is always on foundation and/or BB creams. When I saw that it has 50SPF, it WOWed me. With this, there’s no need for me to use an extra sunscreen before applying it. 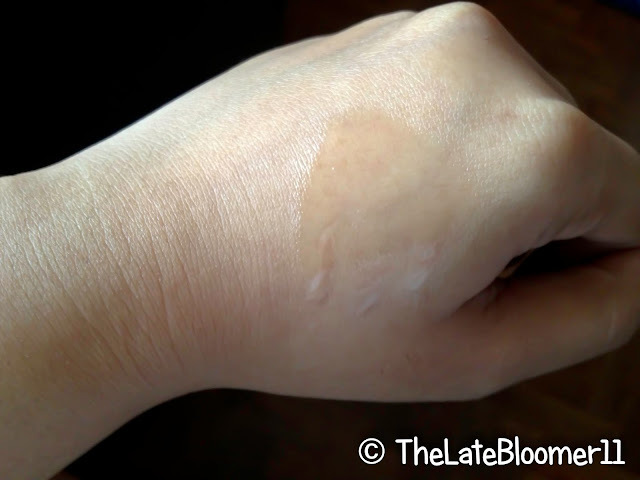 I wanted to swatch it for you but it only contains 3ml of product inside and when I tried to squeeze, it’s like there’s no more product left inside the tube, which was kinda weird. I was able to get a tiny amount of product out and blended it to my skin (sorry I forgot to take a photo before blending it). I initially thought that the shade is too light for my skin tone but it blended nicely. It’s not as creamy as I wanted it to be though. My Thoughts: It says in the bottle that it does not only cleanse but also removes makeup, and I think it’s really cool especially now that I’m about to run out of my Silky Girl makeup remover. Featuring time-released delivery over five hours as well as powerful antioxidants such as Green Tea, Borage Seed Oil, and Vitamins C and E, this emulsion is a favorite amongst Hollywood stars. My Thoughts: This is pretty interesting! All these powerful antioxidants packed in this cream are making me want to dive in and experience its goodness right away but I’ve to stop myself for now as the line of products I have to try, test and review is too long already. I have to wait for at least 2 weeks before trying this out. Created to rejuvenate, protect, and nourish the delicate eye area, this emulsion refreshes, hydrates, soothes, and reduces fine lines and puffiness through unique bioactive blend. My Thoughts: This comes at a very favorable timing! 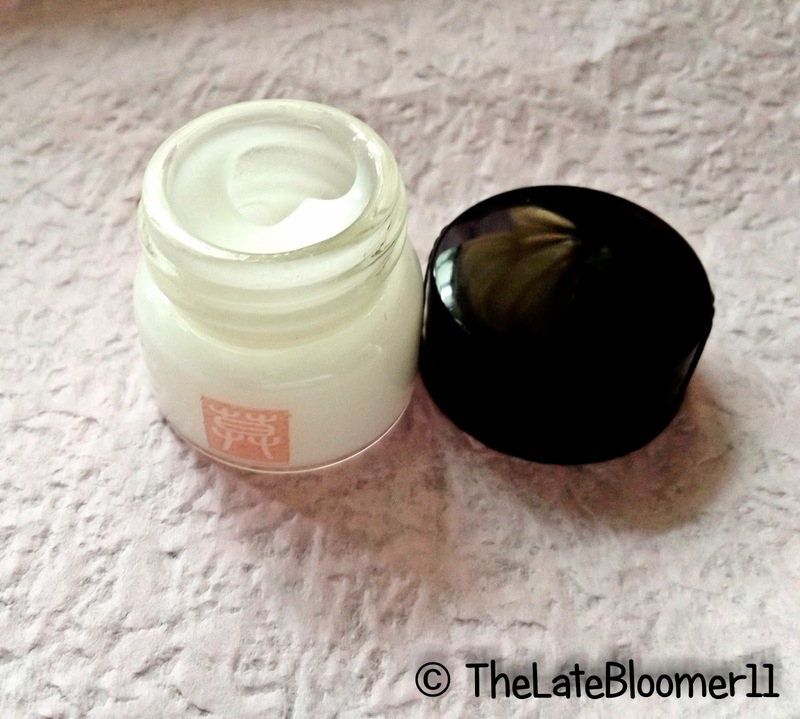 I’ve finished up my Origins eye cream sample and though I really like it, I have just splurged on some Origins full sized products a few weeks ago and I’m trying to limit my expenses for this month at least, which is why I really appreciate receiving another eye cream sample. I’m excited to start using this because (1) it really intrigued me why the full size is very pricey and (2) I’m enticed by the description of the product. Hopefully it’ll do wonders to my under-eyes. 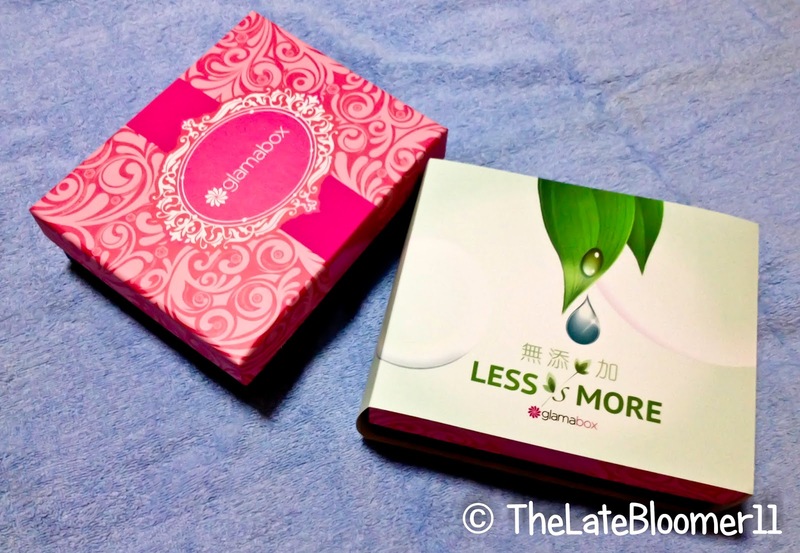 Less Is More Box is totally worth your S$22 (if you’re already a subscriber) or S$30 (if you’re just about to sign up). 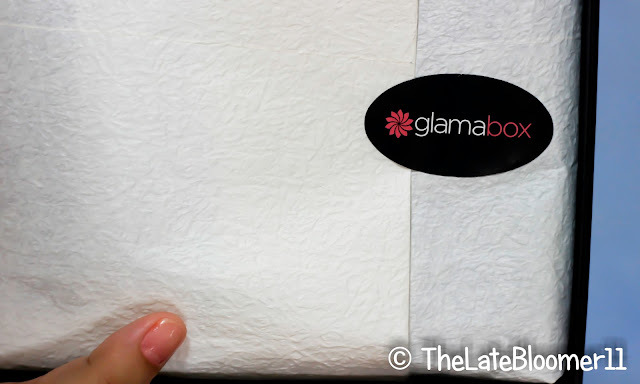 The real value of this box is S$114 and they didn’t just put in a “whatever type of samples” inside your loot, instead they put together a variety of all natural and healthy beauty products from trusted skincare brands worldwide to show all glama-girls that Glamabox truly cares about the beauty and health of our skin. Disclaimer: I was sent these boxes for free but I don’t get paid to review them nor have obligations to give positive feedback. All my opinions in this article are based on my personal experience and honest judgment of the product/s tested and reviewed. 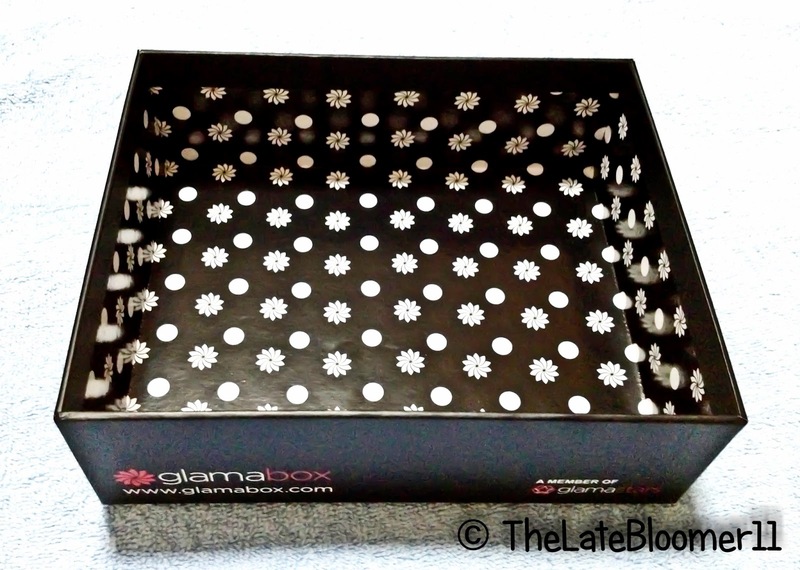 Weeks ago, I’ve been in contact with the marketing department of Glamabox and last week I received two of their amazing boxes. 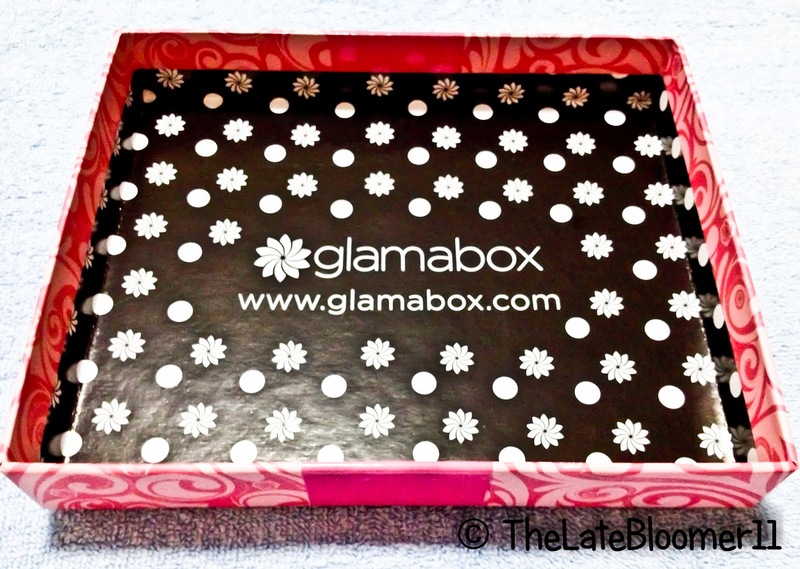 What is Glamabox? It’s a beauty subscription box like Bellabox and VanityTrove, where for only S$18 per month; you’ll get a box filled with four-five deluxe sample sizes of beauty and fashion products personally selected by the beautiful founder of Glamabox, Lisa S. (Channel V veejay and an international model based in Hong Kong). It now comes as no surprise that Glamabox first started in Hong Kong but is now available in three more countries namely Taiwan, China and Singapore. 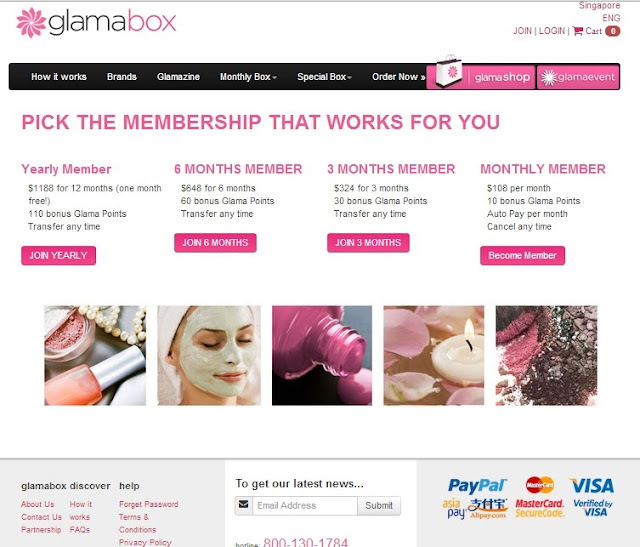 There are four types of membership available for anyone who’d like to try their service. There’s the monthly plan for S$18/month which you can cancel anytime, 3 months, 6 months and the yearly membership. All these memberships except the S$18 monthly plan are all transferable anytime. Enough of the “basic info” talk. I am happy to present to you the box that I received. Let me just say first that I adore their gorgeous and evidently well thought-out packaging. The box itself is already a #winner. 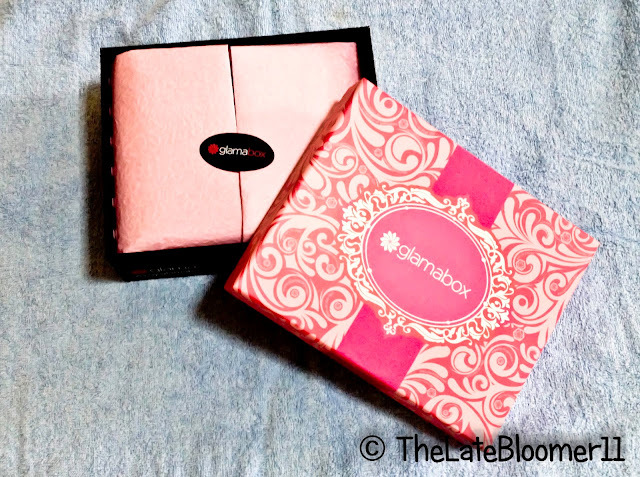 GLAMA for glamorous packaging! Established in 1920, INNOXA is a highly trusted brand in Australia with nearly a century of dermatological heritage of nurturing and regenerating. INNOXA make hypo-allergenic products that are classic, simple, beauty. 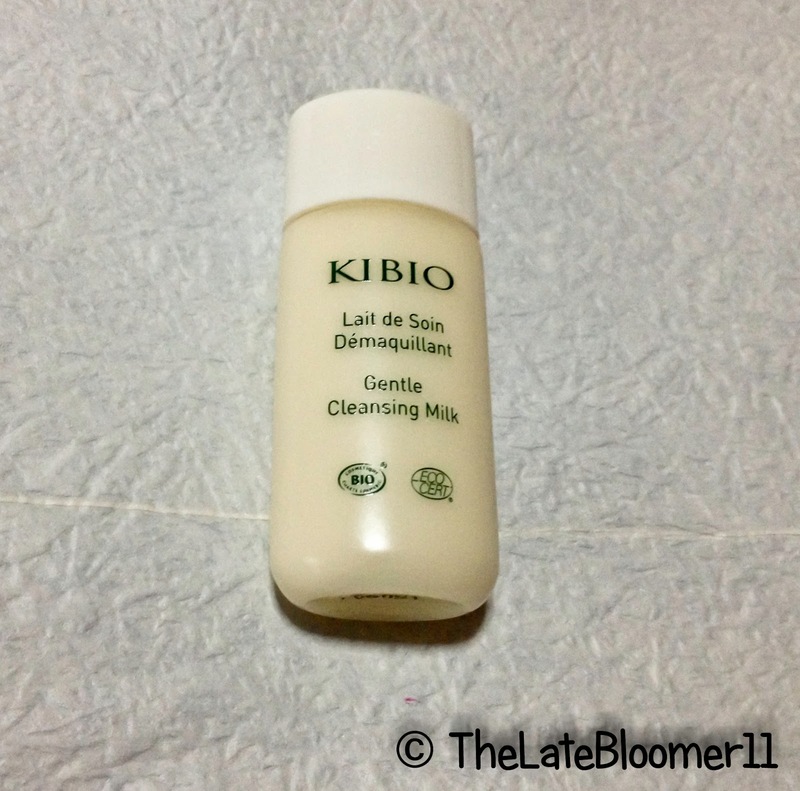 This Gel Wash can leave the skin clean, pH balanced and rejuvenated. It is formulated with the essential nutrients and concentrated benefits of fruit waters and botanical extracts to boost skins radiance, whilst at the same time using a unique triple-action to cleanse, tone and effectively remove all traces of makeup. Directions: Use morning and evening with warm water. Gently massage a small amount of lathered gel over wet face and neck, starting with the eye area to remove makeup. Rinse off with warm water. My Initial Reaction: I was of course thrilled to get a full-sized product, but at the same time confused because of its size. This is the first time I saw a full-sized facial wash as small as this. It’s quite pricey for S$13, so I thought it better be good when I try using it. 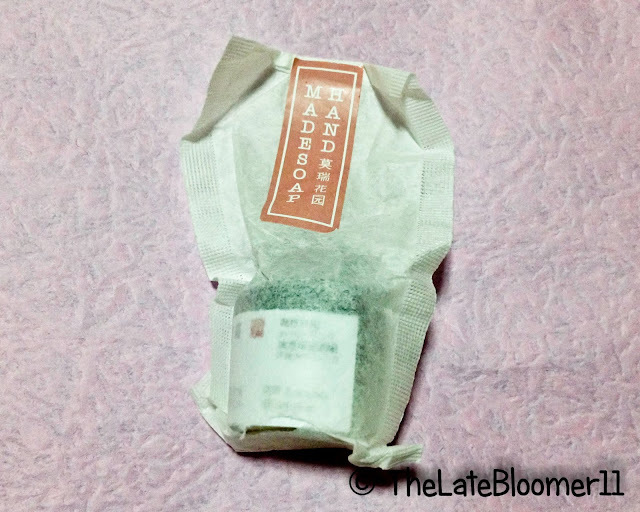 Review Express: When I squeezed out a small amount of this clear gel face wash the first thing that caught my attention was the white thingy I saw. As for its scent, it doesn’t smell extraordinary but it does smell clean which I like. When I started rubbing it on my face, I was shocked by how fast it foamed up! That amount I got from one squeeze unbelievably covered my entire face and neck. It lathered amazingly well, it stunned me. I’ve only used it once so I can’t tell yet if it really does remove makeup like what it claims but I’d totally let you know. It made my skin smooth to the touch with just the first use – incredible! The Witch Hazel Cream helps tighten up facial skin to smooth away fine lines and wrinkles. Its ingredients can also lighten the skin. The Almond Cream will bring your skin a more lifted and firmer look with a fresh, rejuvenated glow. 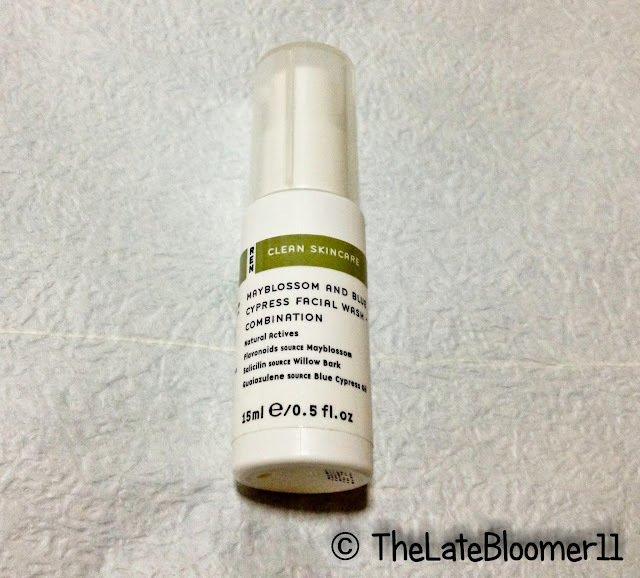 My Initial Reaction:(a)Witch Hazel Cream - I love the very simple packaging. When I saw on the description what it claims to do on the skin, I was immediately interested to try it. The off-white color of the cream is not really my type but I like its friendly scent – feminine but not too much. 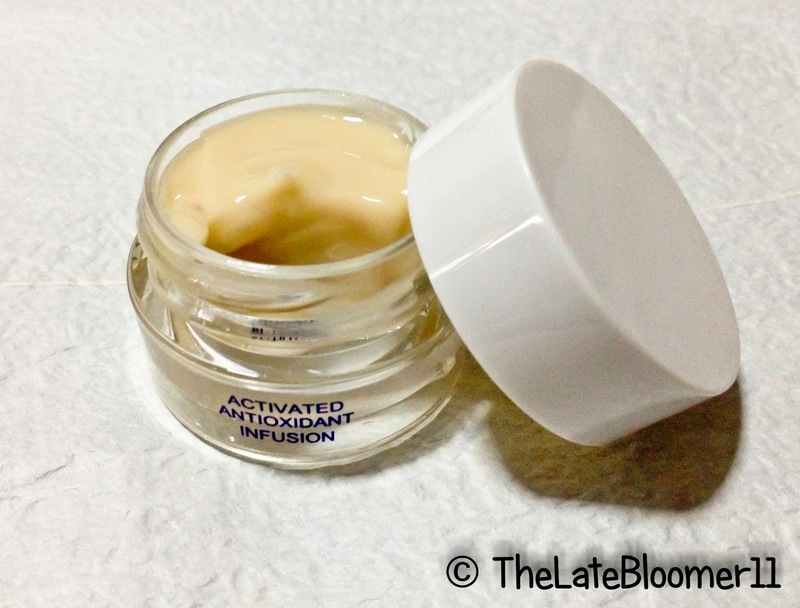 (b) The Almond Rejuvenating Cream didn't appeal to me that much as far as packaging is concerned but I'm looking forward to its performance. 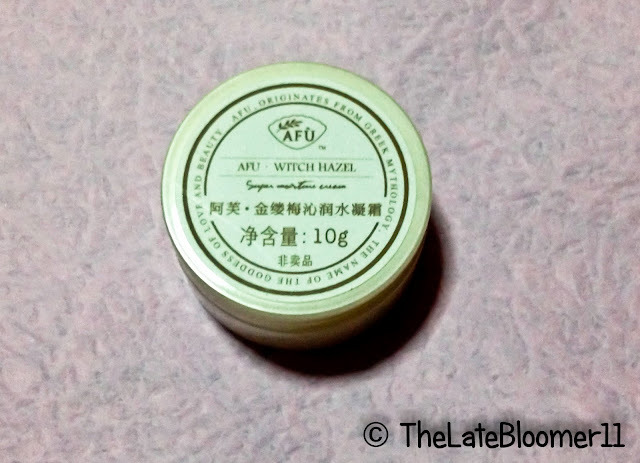 Review Express: I applied the witch hazel cream on the areas of my face which badly need tightening (LOL) but of course I wouldn’t know yet if it’s effective or not. I need to give it enough time to prove its worth on my vanity table. 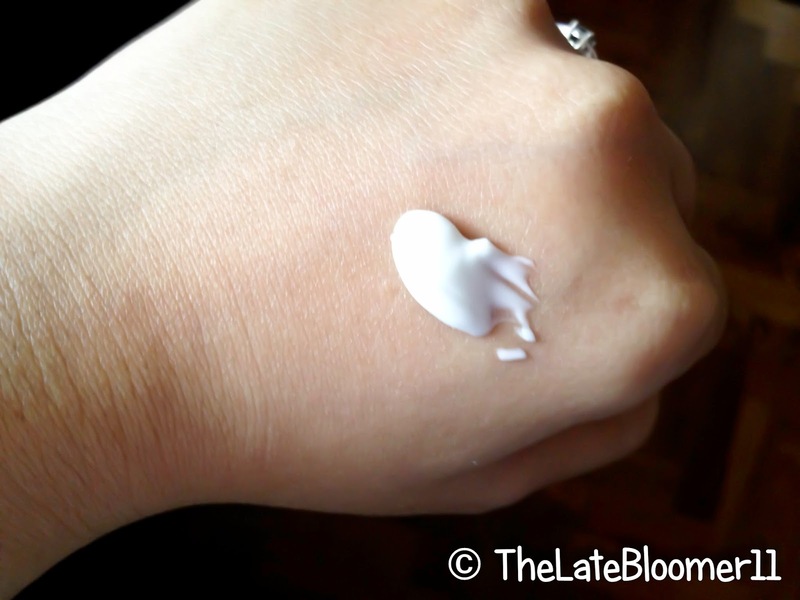 But as far as the application goes, I like how smooth and lightweight it felt on my skin. I’ll give you an update soon about her performance. 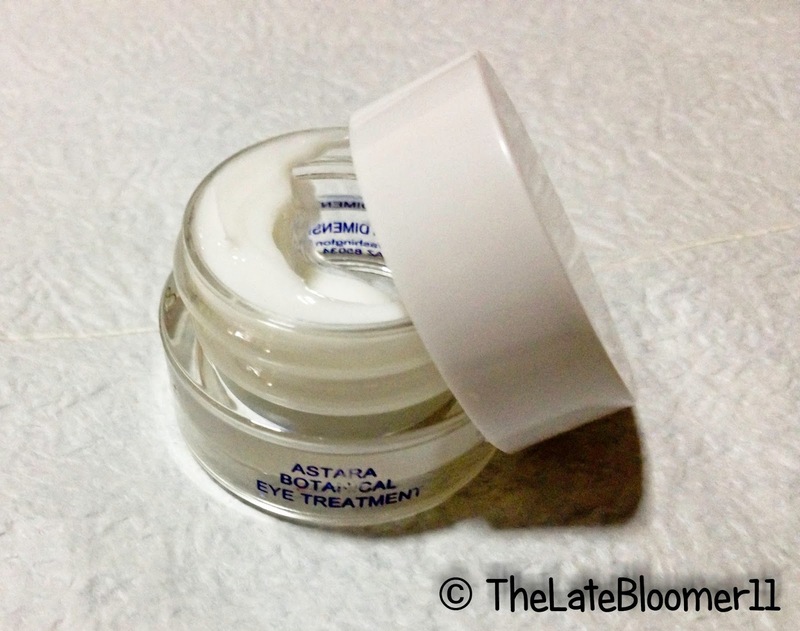 Same goes with the almond rejuvenating cream. DRESDNER ESSENZ® is made by LI-IL GmbH since 1910, and become the most favorable skincare brand in Germany. The body cream with natural active ingredients can protect your skin against moisture loss and makes it as supple as velvet. Your skin will feel more relaxed and look healthier. 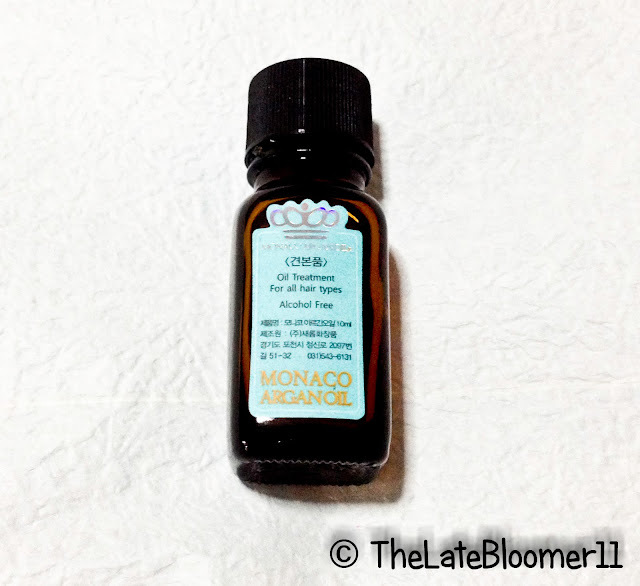 The body oil is not greasy and can be easily absorbed by the skin. The pleasing fragrance has a harmonizing effect and will brighten your mood. It can also be used as SPA massage oil. Directions: Massage the body oil into dry skin or damp skin after a shower or bath. My Initial Reaction: I’m a sucker for body creams/butters/lotions and so these two sachets of goodness were very appealing to me. Then I tried the body cream and it smells so deliciously fruity. 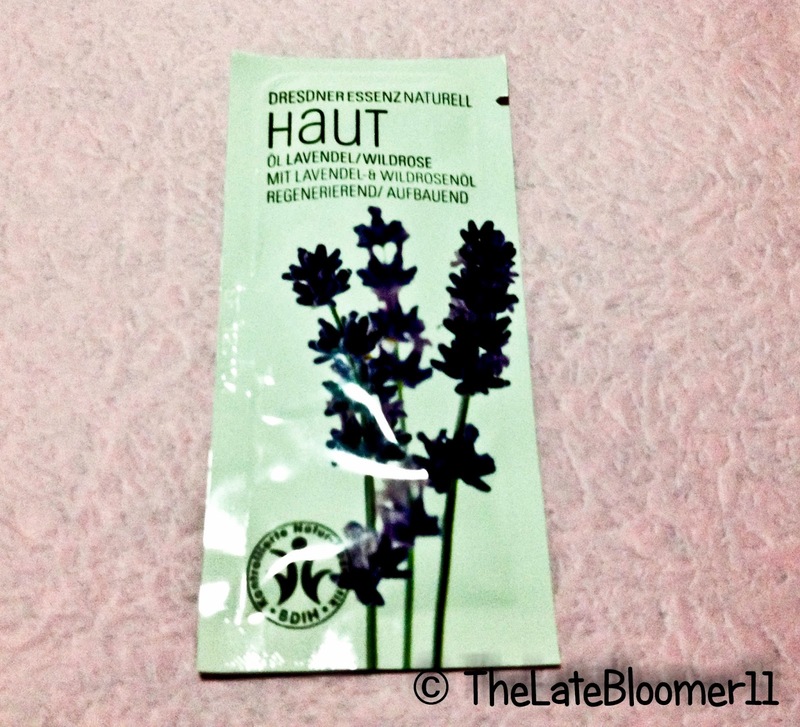 It’s quickly absorbed by my skin leaving it smooth and supple in an instant. Love both of them! SKINOLOGY is a Fashion Guide brand in Taiwan. 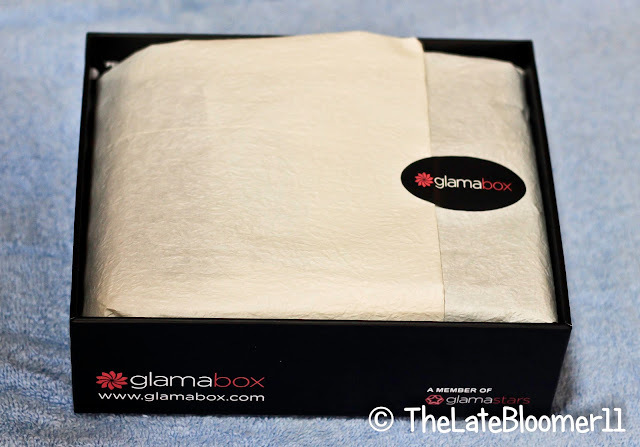 It utilizes 100% pure cotton which can protect the sensitive skin with soft texture. A blend of soothing ingredients can calm the visibly redness, leaving the skin feel comfortable, soothed and moisturized. It’s especially ideal for sunburned and damaged skin. 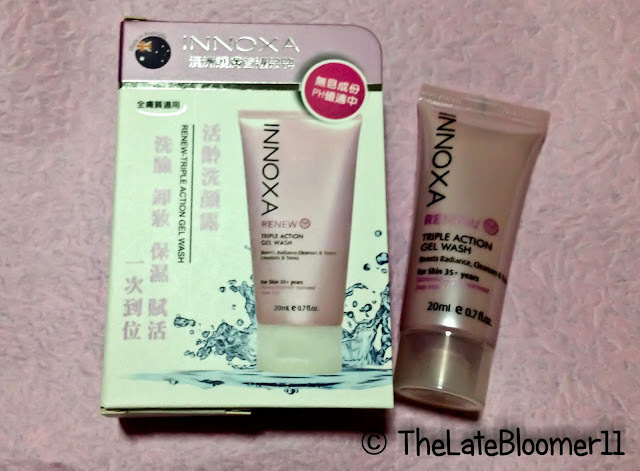 After continuous uses, your skin will be more healthy and balanced. 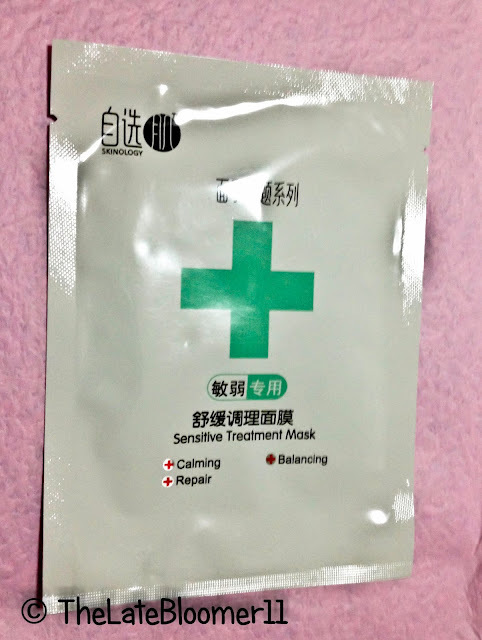 My Initial Reaction: The fact that it’s called “Sensitive Treatment Mask” really caught my attention. I’ve been experiencing unexplainable redness at some areas of my face for no apparent reasons, so hopefully this mask would help. The sun-protective formulation is specially selected from Japan and makes it more effective. 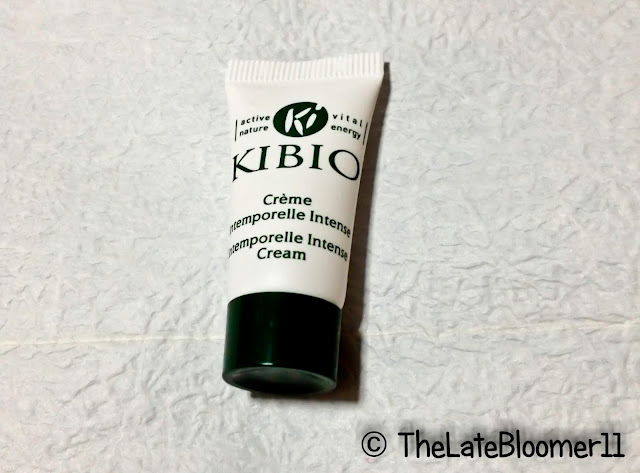 The cream is not greasy and can be easily smoothed onto the skin. Magnolia ingredients with a pleasing fragrance can moisturize and prevent skin-aging. 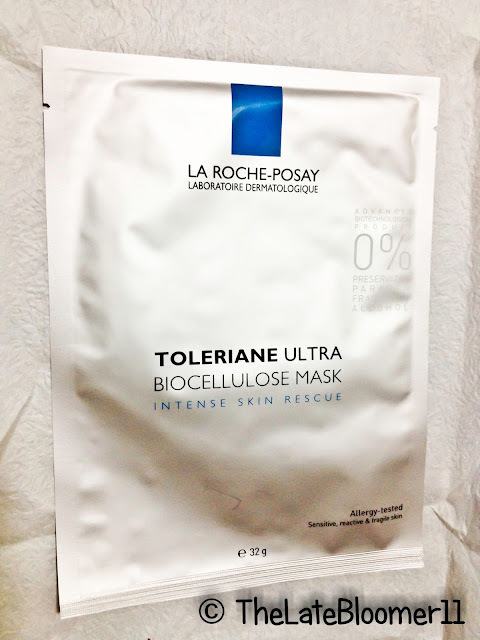 It also contains Aloe Vera extract and organic Hazelnut Oil with outstanding soothing and repairing effects. We kindly suggest you to keep it refrigerated and use it up quickly after opening. My Initial Reaction: At first, I thought it’s a tea bag, but when I tore it open, of course it isn’t. 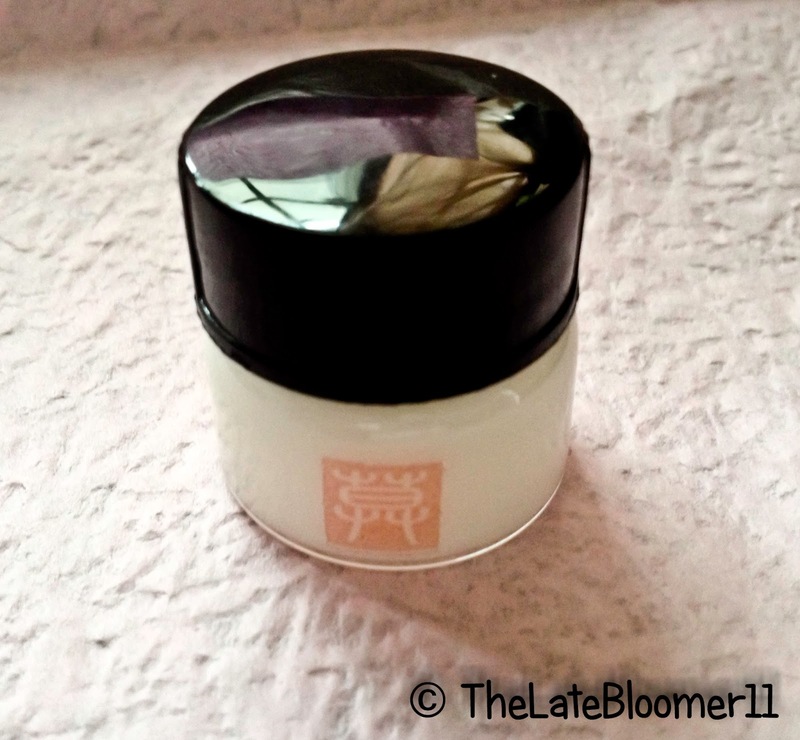 I was easily enthralled by this tiny jar of cream because first it’s from Japan and second it’s a moisturizer with SPF. 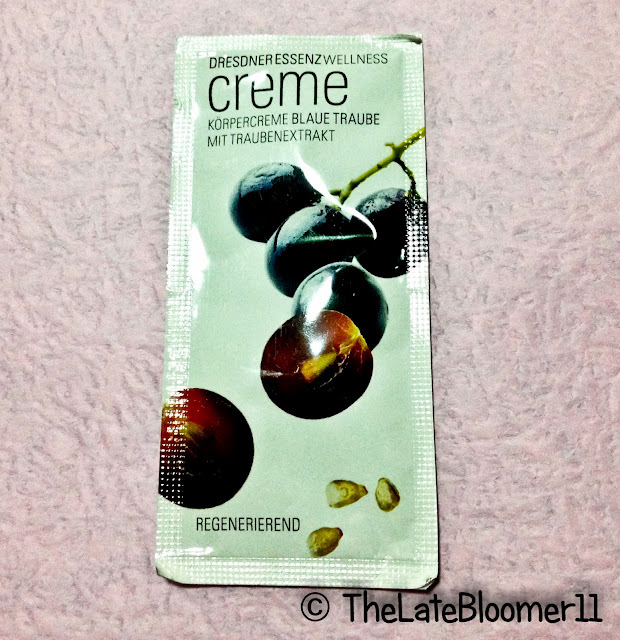 Review Express: When I tried it, I didn’t feel anything special about it and the scent, oh no! It turned me off. I was thinking that it’s probably because I didn’t refrigerate it right away but whatever is the reason, I’m not inlove with this cream. Disclaimer: I was sent these boxes for free but I don’t get paid to review them nor have obligations to give positive feedback. All my opinions in this article are based on my personal experiences and honest judgment of the product/s tested and reviewed.